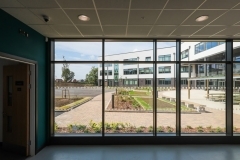 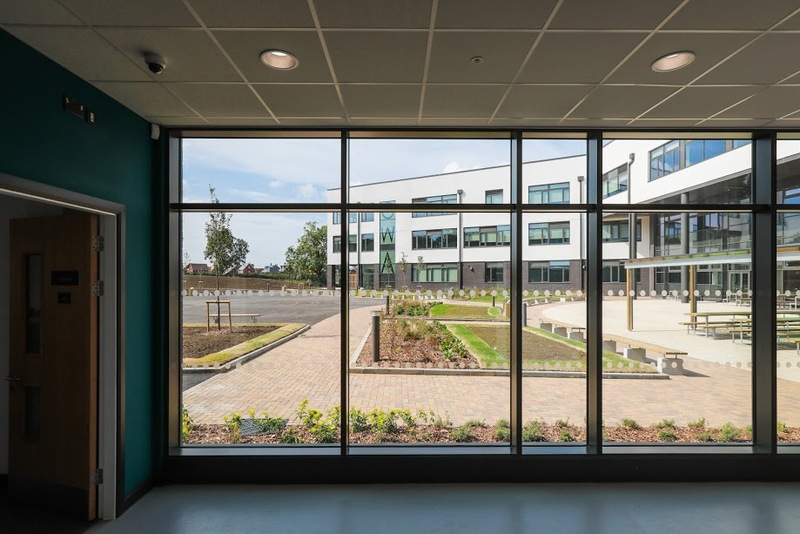 Great Western Academy in Swindon opened in September 2018, A £21 million, 3 storey school with a focus on business, enterprise and technology. As part of their brand new building, they required a main hall that could be used for lessons, performances and lectures alike. 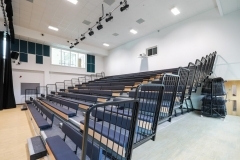 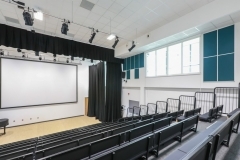 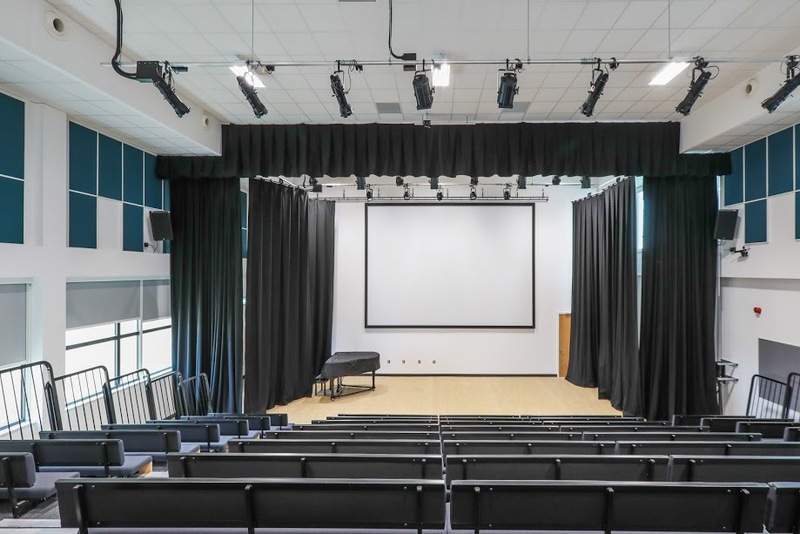 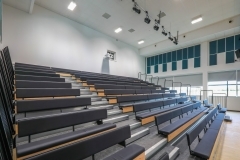 We were contracted by BAM south-west on this project, having built up a strong relationship with them over the years due to our high level of customer service offered we were the automatic choice to supply the Retractable Seating for this new school. 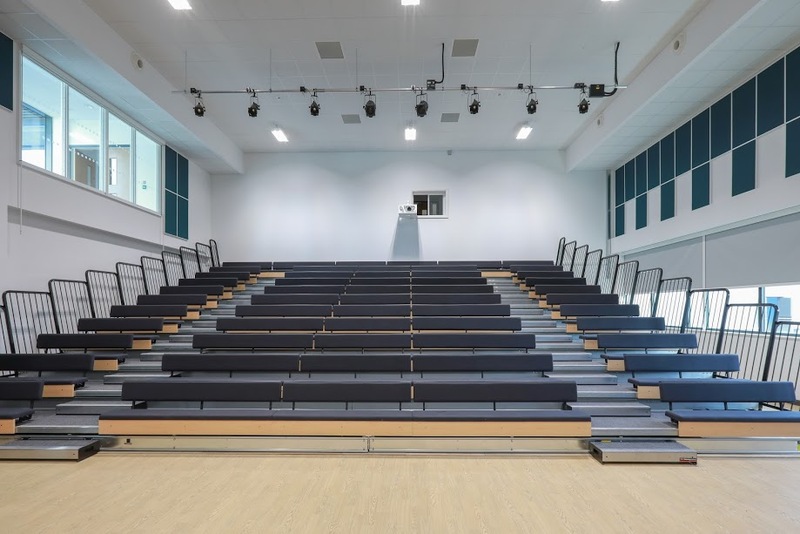 We supplied our Maxam Plus retractable system fitted with 246 Sports Benches, this is a common product combination for schools as it offers flexible seating arrangements at a cost-effective price point. The system was fitted with integral power operation and self-storing rails allowing the hall to be transformed seated auditorium to a clear floor within a matter of minutes. 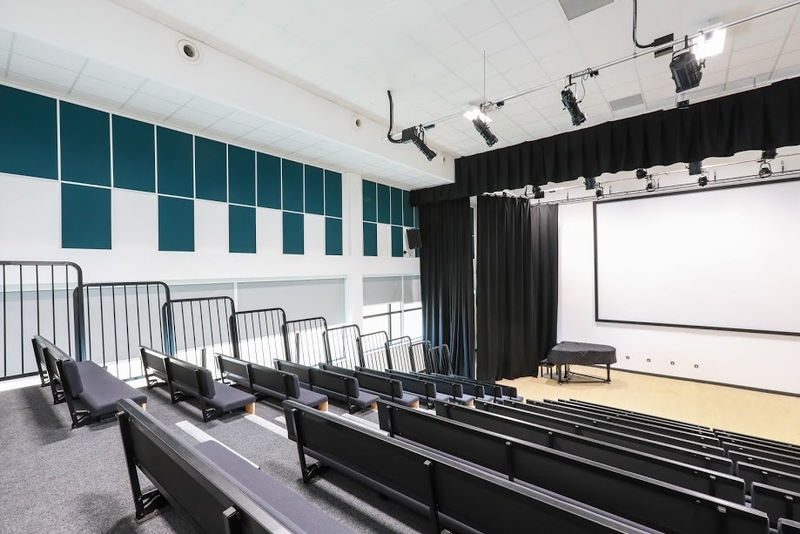 We were delighted to be involved in this local Great Western Academy project providing products that enhance the learning environments for children. 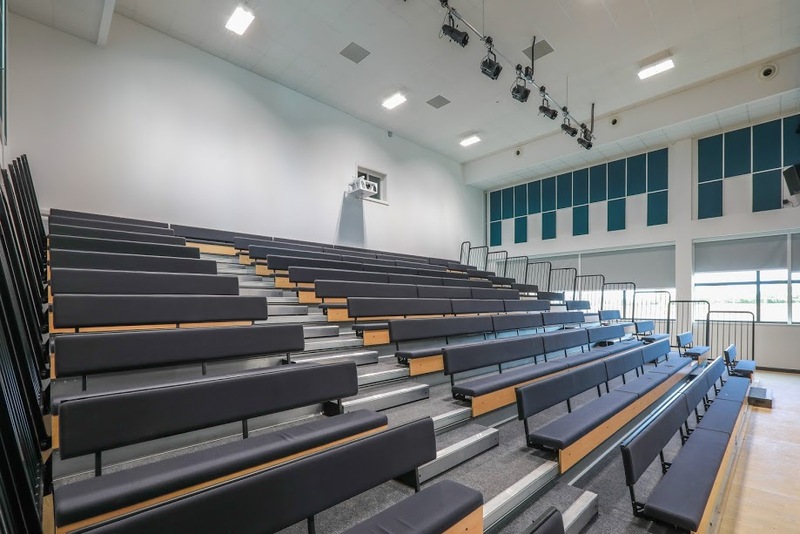 We are already working on the next new build school in Swindon and will be providing seating solutions for 3 different spaces.